Why Join Sundance Flying Club? The Sundance Flying Club offers the best in flight training, aircraft rental, and customer service. Beginning pilots find Sundance a friendly, professional, and affordable place to train. 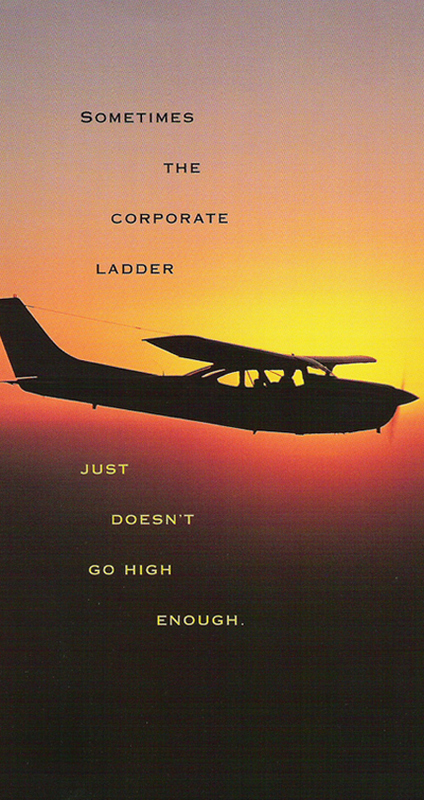 Experienced pilots enjoy our higher performance airplanes, great availability and no daily minimums. CFIs of all experience levels find Sundance to be a great support base from which to instruct. Pilots from all round the world appreciate Sundance's ability to place them in the left seat of a club airplane, whether it be for flightseeing or for instruction. All pilots appreciate Sundance's seamless insurance coverage. Sundance is a well-organized, well-operated flying club which provides for its members a common, informed interest in aviation. Sundance provides clean, well-equipped, well-maintained aircraft for the members' use, be it for business, pleasure or educational purposes. Sundance welcomes members who own their own airplanes but do not wish to rent them out. The club facilitates maintenance on these airplanes, as well as offering training and proficiency flying. Who can join Sundance Flying Club? Membership is open to anyone of good character with a sense of responsibility, without regard to race, creed, or gender. Sundance welcomes student pilots and those who already have pilot certificates. The club will assist foreign pilots in getting their credentials recognised in the USA, and in obtaining TSA permission for non-US citizens to undergo flight training. How to Join Sundance Flying Club. Download, print, and fill out an application form. Then send it in to the club with the appropriate fees. Call or visit our office and schedule one of our Certified Flight Instructors to get checked out or start your lessons. Expect your credit card to be billed quarterly . What does membership cost at Sundance Flying Club? Sundance Flying Club offers number of different classes of membership to best cater for individual needs. As with any club, there are rules. We try to keep them to a minimum and rely on members' sense of pride in the club. So the rules we do have are important, and it is expected that each member is conversant with the club "Rules and Regulations". Sundance Flying Club is a proud sponsor of Michael S Baum's Aviators' Model Code of Conduct . The Club has incorporated this into the "Sundance Flying Club Code of Conduct" and the club practices. Adobe Acrobat Reader is required to read these files. If you do not have Reader, it is available free from Adobe.